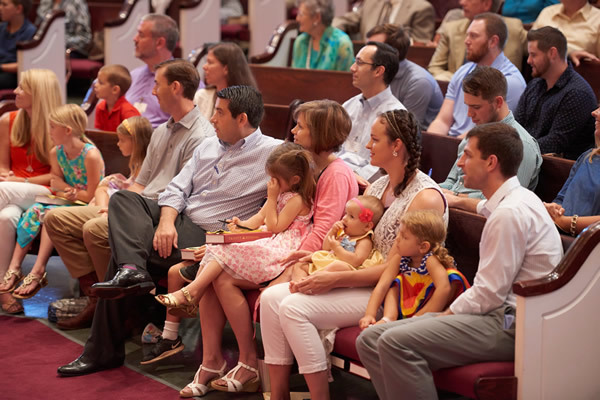 If you are “just married” or have kids in grade school, you’ll find connections with other families in our community and will grow deeper in your faith together. We are a group of couples and young families (age 20s to 40s), who desire to grow deeper in their walk with Christ through fellowship, prayer and service. We are a community where we are transformed in a real way by the Holy Spirit; we pray together for the advancement of God’s kingdom; we are encouraged & equipped to engage a lost world; and we are connected with the body of Christ. The Young Families Sunday Bible School class currently meets in Rooms 1 & 2 of the Community Life Center building. Click here to see what we're currently studying.